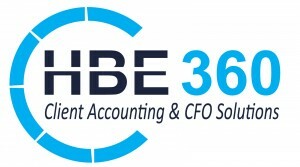 The HBE 360 service platform provides multiple layers of premier cloud-based accounting and CFO services to help ensure our clients successfully execute their financial management and accounting responsibilities. As businesses grow and become more complex, it becomes increasingly difficult for business owners to stay ahead of the trends impacting their operations. In addition, many successful businesses may not have the resources required to maintain a full or adequate accounting staff. That’s where we come in. Through HBE 360, we offer a high-quality, highly efficient outsourced accounting and financial management service. Our platform is built upon HBE’s unmatched experience and expertise, combined with industry leading cloud technologies and best practices. HBE 360 provides multiple levels of premier accounting and CFO solutions for businesses and organizations that lack adequate accounting staff or do not want the overhead associated with a full in-house accounting department. With HBE 360, these companies are able to focus their resources in areas such as business growth, operational efficiency and mission impact, while HBE’s trained experts provide the day-to-day financial services the company needs to be successful. Why choose HBE for outsourced client accounting and CFO services? Customizable Solutions. When it comes to running a business, there’s no such thing as “one size fits all.” With HBE 360, you get flexibility, scalability and advanced financial management customization. From small-scale to large-scale, part-time to full-time, there’s no operational requirement we can’t accommodate. Accurate and Timely Reporting. Businesses who utilize HBE 360 are able to retrieve their financial information via customized dashboards, allowing them to tailor their business intelligence across all operational sectors. On-Demand Insight. Successful business owners rely on having the right information at the right time to make the right decisions. With real-time access to fiscal intelligence, you can lead with confidence knowing exactly how your business is positioned at any given moment. Strengthened Team Resources. Are your team members performing at the best of their abilities? Maybe you have an outstanding office manager, but they can’t focus on delivering first-rate client service because they’re too busy paying invoices and reporting taxes. The HBE 360 service platform can relieve those everyday burdens, allowing your shining stars to shine brighter. Access to Licensed and Trained Professionals. Our people are your people; they will work closely with you to provide seamless, cost-effective services that are aligned with your business goals. With HBE 360, you’ll also receive comprehensive, ongoing review of your specific needs and challenges. Team Continuity and Accountability. Our commitment to our people provides you with the peace of mind knowing you won’t have to concern yourself with staff training, turnover, or overhead. For more information on how the HBE 360 platform can work for your business or organization, please contact our office at (402) 423-4343.